12.9.2018	- Kids Night Out! On December 14, 2018, St. Mark's hosted a Red Cross Blood Drive in Fellowship Hall. St. Mark's periodically hosts blood drives, with good results. 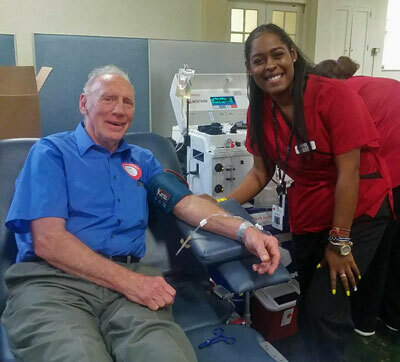 Sixteen units of blood, including donations from Pastor West and Lou DeSeau were collected. This quantity can save up to forty-eight lives! Our next Blood Drive will be Friday, July 19, 2019.